The Chinese economy continues to grow with commentators estimating China will become the world’s largest economy by 2030 (Source: Enterprise Ireland). This phenomenal growth offers Irish exporters huge potential for growing their business and many Irish companies are already actively engaged in exporting to China. The Chinese Authorities have asked exporters to provide a Declaration of Non-Wood Packing Materials when trying to ship into the country. This could present a problem for Irish exporters as the majority of shipping equipment used to export into the country is made of timber. Precision Box has the answer. 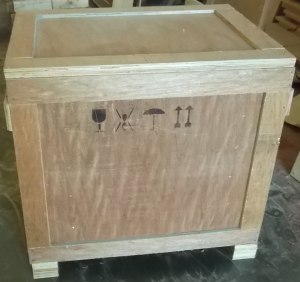 We have developed a range of “non-wood” crates that meets the Chinese importing criteria. 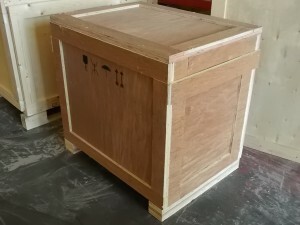 As a long-standing member of the National Standards Authority of Ireland (NSAI), we can also provide you with ISPM15 & Timber Source Certification with every batch of export crating or packing that shows any timber used is heat treated and authorised for entry into the country, along with a certificate of non-wood for the crate. With our export solutions, you can take the stress out of crating & packing for export and focus on growing your business. Contact us today and a member of the Precision Box team would be delighted to discuss how we can help you achieve exporting success in China.